If you've ever wished you could wear your favorite athletic shoes to your job, or if you suffer from knee or lower back pain, you need to check out these incredibly lightweight athletic work shoes from none other than Reebok. Known for their hardworking athletic sh ... (see full details) (see specifications) #RB041. If you've ever wished you could wear your favorite athletic shoes to your job, or if you suffer from knee or lower back pain, you need to check out these incredibly lightweight athletic work shoes from none other than Reebok. Known for their hardworking athletic shoes, Reebok has taken all they know about support and comfort and applied it to the work world with their expansive lineup of safety toe shoes made for industrial settings. These industry leading lightweight Reebok Women’s Sublite Cushion RB041 Black Alloy Toe EH Athletic Work Shoes are made for flexibility and comfort as well as durability and safety. You can enjoy your favorite leisure-feeling women's shoes while at work when you're wearing these Sublite alloy toe shoes. Alloy toe caps are lighter in weight than traditional steel while still meeting ASTM F2413 standards. Dual resistors and no exposed metal on the uppers make these alloy toe EH shoes as safe as possible for industrial settings. These are also rated for electrical hazard (EH) protection to increase your overall workplace safety. These athletic Reebok shoes are made with incredibly breathable mesh and webbing uppers for maximum air flow and moisture transfer. Now, sweaty feet don’t stand a chance against these black safety toe shoes with their open webbing plus the high performance moisture-wicking nylon mesh linings. You can complete the sweat-fighting trifecta by adding a pair of moisture-wicking performance socks to your foot wear routine. (Check out our wide selection of athletic moisture-wicking socks before you go!) The lace up fit and padded collars cushion your feet from the top down, while the installed finger pulls make it easy to get these on and off. The low cut athletic oxford design promotes full range of motion of your ankle for uninhibited fit. Inside, the comfort of these Reebok women's shoes greet your feet with every step. You'll easily forget these are work shoes when the bottoms of your feet are cushioned and supported with the MemoryTech Massage removable cushion footbeds. With each step, the memory foam refreshes the cushion under your feet and molds to the contours in the lightest footbeds possible. The Sublite EVA cushion midsoles offer intensely lightweight support that absorbs the shock of each step with soft support. The deep flex grooves of the midsoles offer more flexibility than ever before for more mobility with each step making this lightweight safety toe footwear ideal for anyone who does a lot of walking, kneeling, bending, crouching, and such while at work. Rubber heel and forefoot pads offer grip and slip resistance to the bottoms of the women's footwear, eliminating heavy rubber outsoles. Alloy toe caps are lighter in weight than traditional steel while still meeting ASTM F2413 standards. Dual resistors and no exposed metal on the uppers make these alloy toe EH shoes as safe as possible for industrial settings. Also rated for electrical hazard (EH) protection, these Reebok Women’s Sublite Cushion RB041 Black Alloy Toe EH Athletic Work Shoes from Working Person's Store have it all - safety, comfort, and style in a lightweight design that eliminates the pressure heavier, clunkier work boots place on your knees and back. So comfortable you may even want to wear them on the weekends, you'll love the athletic features of these Reebok work shoes. These were comfortable straight out of the box. I work at an auto plant so am on concrete 9 to 10 hours a day and these are perfect! I have bunions so I purchased the wide in size 9 and they are great! I tried wide shoes in the past but the toe beds made my feet look huge and I hated it so I was extremely happy that these did not at all. Totally satisfied with these and I will be purchasing more! I just placed my first order with your company and am impressed with the quick and just-right-amount of communication. I found the website to be user friendly and I was able to navigate around without being a computer genius. 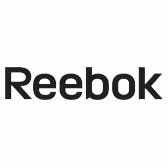 Reebok Shoes: Women's RB041 Black Alloy Toe EH Athletic Sublite Cushion Work Shoes is being added to your cart.